Last 15th of Februrary Laia, the CEO of Legal Coworking, was participating in the 3rd Symposium of the Research Group on Collaborative Spaces in Barcelona. Laia Benaiges had to answer different questions according to her experience and answer how coworking spaces and collaborative practices can dynamize rural areas. 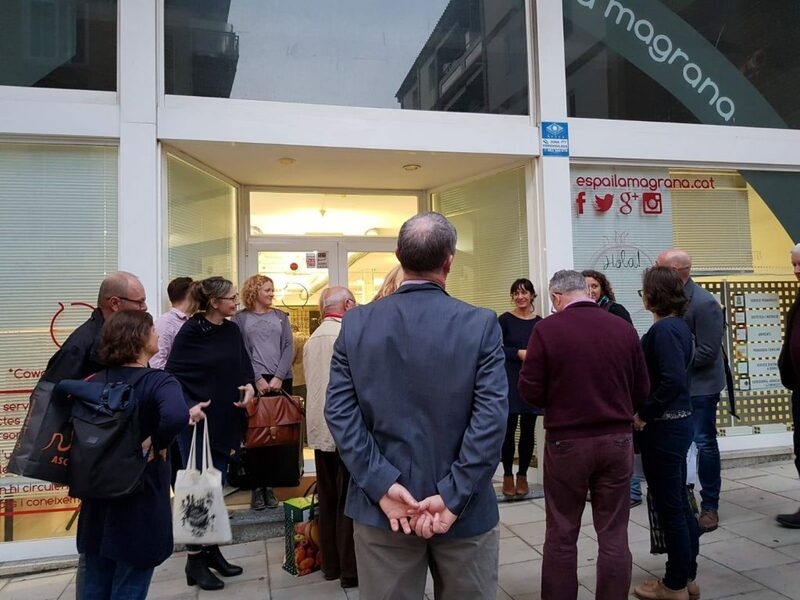 Moreover, she has to explain which was the experience she has in creating her own coworking: Espai La Magrana. COWORKING SPACES LOCATED IN RURAL AREAS MAKE TALENT COME BACK HOME. One of the biggest benefits of coworking spaces located in rural areas is that they facilitate that citizens from that town that had leaved home for work or studies come back to their town, and in consequence, they bring back their talent too. RURAL AREAS ARE A TREND AND A NEED FOR WORKERS FOR URBAN AREAS. A trend because every day there are more professionals who work as freelances and have more flexibility to work where they want. They only need a computer an internet connection. 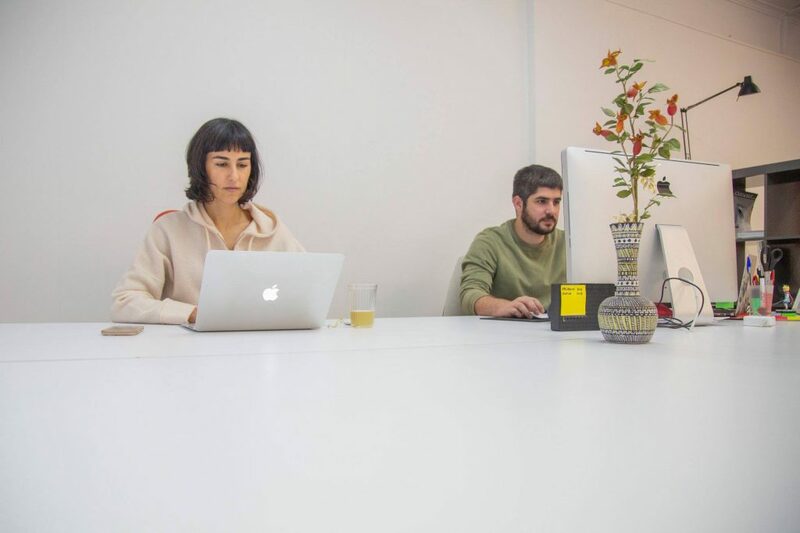 A need because in a rural areas they have cheaper prices and more comforts than in cites as Barcelona, and coworking spaces gives them the connections, the opportunities and the “atmosphere” that they maybe they miss from the city. Maybe in a town they don’t have too much services, but neither they have too much needs. And is also important to remark, that towns from Catalonia, are not so far from Barcelona and they can go there for meetings or workshops and come back home the same day. COWORKING IN RURAL AREAS GIVES FRESH AIR AND AN OPEN MINDED ATMOSPHERE. Most of my coworkers come to the place, not because of tables and chairs, but yes for the “good vibes”. This “openminded atmosphere” helps to attract talent and, in consequence, dynamize rural areas”. Maybe in a town a place to work is not a basic must, because the rent of offices is cheap or free and everybody needs a community. In rural areas everybody belongs a sportive or cultural community. Coworking spaces located in rural areas had create professional communities “with fresh air” of freelances and creative people with ideas that had never existed, because there wasn’t a place to meet. Coworking in a rural area is like a “magic place” where “cool things” happen without the need to go to Barcelona. COWORKING IN RURAL AREAS GENERATE STRONG PROJECTS AND CREATE LOCAL WORK. Urban coworkings use to have more flexible and international coworkers. My coworkers are from the town or the surroundings and they work here during years. Is not a temporal place, is a long term decision. This deeper and long term relation, creates strong projects and create jobs for people from the local area. For example, LECO. Maybe in rural areas is easier to generate jobs for the community, because of the proximity and the daily interactions with coworkers and community builder. In Laia’s cae, she has a community of fifteen people and she tries to give work opportunities to all of them, because she is well connected in her area and is easy to recommend her coworkers to her clients. COWORKING IN RURAL AREAS HELPS TO GENERATE CREATIVE PROJECTS THAT CONTRIBUTE TO GIVE VALUE TO THE AREA. 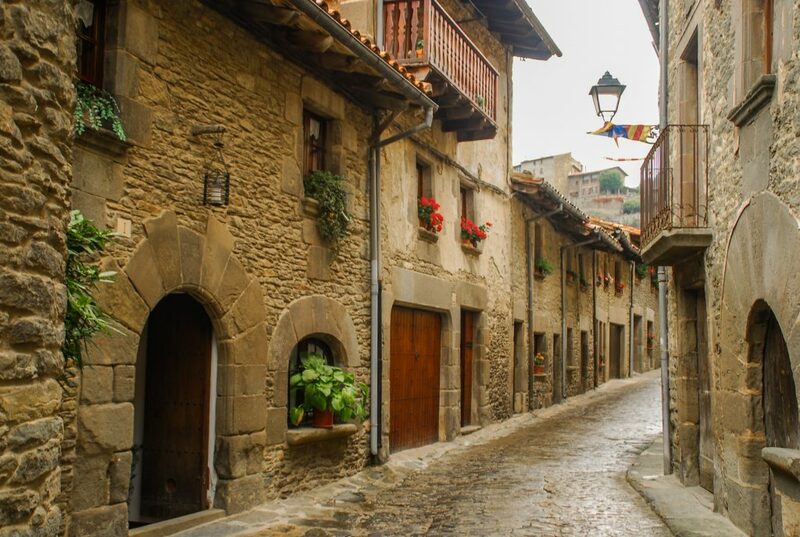 Laia believes that the professional profile in rural areas is different that in urban areas. For example she has technologic profiles, but in the space there are also lawyers, a veterinarian and a winemaker. And is awesome to see them working together. They generate collaborative and creative projects, that helps to dynamize rural areas. For example, the cellar, who serves wine in all our events, has create with the collaborations of two coworkers a winetourism project which works with and mobile app that helps the participants to find wine bottles hidden in the forest. In summary, Laia thinks that coworking gives rural areas the doses of innovation, freshness and creativity that we will not have without this kind of collaborative spaces. And that coworking spaces are one of the main elements that allows to recover and attract talent in rural areas. The Symposium was divided in three parts: Catalan rural areas, Catalan people creating partnerships and networking in spaces. Taking into account that Catalonia has a long history of associations and collective collaboration. 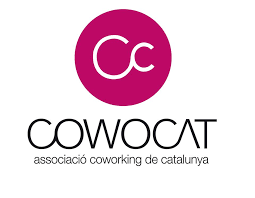 They asked her if she thought that the Catalan character has influenced the diffusion of coworking and other ways of working. Actually, Catalonia has an incredible associative history. For instance, in Valls, which is where is was born, there are two of the main human towers groups. It is easy for their inhabitants to participate, collaborate, generate communities and share build collective projects. Not only in Catalonia, but mainly in Tarragona area, since there is also a huge trajectory off wine and oil cooperatives. It is not exactly the same than a coworking, but the spirit of collaborate, maybe makes us easier to understand and bet for this new ways of work. They also asked her what about the collaboration between the different actors on the territory. (The Public sector, the private sector, the universities and the citizenship). Laia talk about the project Cowocat Rural, which is a public project who has create a network of catalan coworking spaces located in rural areas, and they help them to grow with consultations, formations, passes to work to the other spaces but also with experiencies of work and holidays in rural areas. She loves the project because they try to give the same opportunities to public and private spaces, and as she see it this is very important, and not always happens. As she see it, Internet access has broken the gap, and the access to innovation and new technologies is the same for people who works in Barcelona or in Valls. First of all, we are not so far from the city. On the other hand, everything is online, maybe is slower and is not the same a presential workshop than an online one. Or maybe you don’t’ live together with innovation and you have to go for it. In her opinion, the problem is that things that happen in a town don’t have the same value that thinks that happen in a city. For this reason, we have to change this thinking and achieve that people from the city move as we do, because there is a conference that only happens there and because we have excellent professionals. We have to love more ourselves to have more value from the others. Finally, they asked her which were the objectives/impact of the networks of spaces and if they were they redundant or complementary. Actually, the main objective is to connect spaces and coworkers to create a bigger ecosystem of talent. Some of them are redundant, but as she see it, every network has to have an specific goal, and the most important is that they have to think on the community and not on winning points with their boss or their ego. She believes that the more effectives networks are the proximity ones. In her area they have created a network called XECC with six spaces from Tarragona zone located at less than 20 minutes one from each other. Their main objective is to increase the limitated community of each space, because if our coworkers have new contacts, they have new business opportunities. This six towns or small cities are naturally connected (we have clients there, we go to the beach there, we go shopping there…) and they wanted to give our coworkers more reasons to professionalize this connections (we develop rotational events, we offer free day passes to work at the other spaces and we promote our spaces with promotional ) This actions allow them to extend the sense of community and generate business far away from our own spaces. ¿Todavía no estas al día de las novedades legales en coworkings?